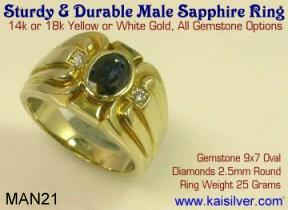 Kaisilver as the world's leading online provider of high end custom jewelry, was the first to introduce a complete selection of high end custom jewelry for gents. 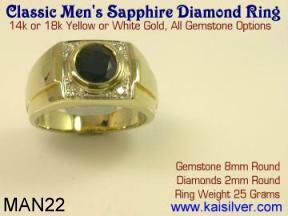 Our custom gents jewelry is available with all gemstone options and you can choose from 14k or 18k white or yellow gold. The gemstones used in our custom made jewellery for gents, are all handpicked by experts and custom cut by skilled gemstone cutters. Since each jewel is completely custom made you can ask for all design modifications that you need, or you could send in scanned images of your favourite jewelry designs for us to custom make. 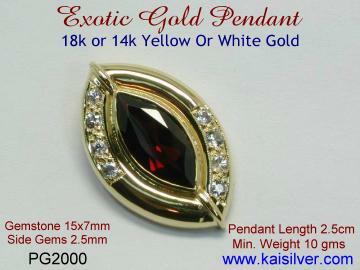 A classic garnet pendant with good gold weight and streamlined designed. Ideal for the professional working lady. Choose from diamonds or white sapphires on the sides of the pendant. Marquise shaped pendants are very rarely as attractive as this one. 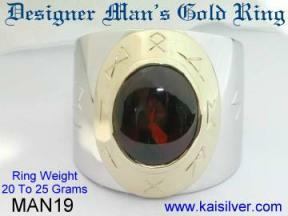 A gorgeous design from some of the world's top notch designers at Kaisilver. Click For Details Of This This Garnet Pendant And More. 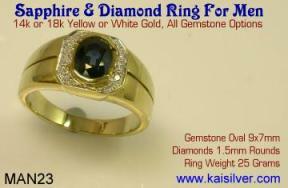 Available In 14k and 18K Yellow And White Gold, Select Your Choice Of Gemstones. All design modifications available as each individual jewel is worked on by expert craftsmen and handfinished to perfection.